Dialectical Behavior Therapy (DBT) is a cognitive-behavioral therapy that has amassed empirical support for a range of psychological problems in clinical and nonclinical populations. This course introduces the origins and theoretical underpinnings of DBT. You will learn about the structure and processes involved in conducting DBT as well as the evidence supporting this approach. 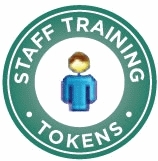 You will also learn the strategies DBT facilitators use to engage people, and you will be guided through the key elements of the DBT skill-based treatment modules. This course is designed to help you avoid common pitfalls in dealing with individuals who have difficulties regulating emotions. Using a blend of theory and research-based information with detailed case studies, this course will help you utilize the basic principles and treatment components of DBT. The course concludes with a discussion of the primary therapeutic strategies used in DBT and the core qualifications of DBT providers. This training is appropriate for licensed behavioral health clinicians who are interested in learning more about what DBT is and its primary applications. It is important to note that while this course provides an overview of DBT, it does not constitute sufficient training to begin using it with clients. You should attend a live training to supplement this course before beginning DBT work with clients. 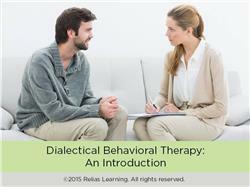 Describe the core principles and treatment strategies used in DBT. List primary applications where DBT is effective. Explain how the 4 psychosocial skills modules are used in DBT. This course was written by Lisa B. Campbell Ph.D. Dr. Campbell completed her graduate studies at the University of Nevada, Reno. During her graduate training she gained extensive training and experience with “third wave” Cognitive Behavioral Therapies. Dr. Campbell is currently the Director of the Post Traumatic Stress Disorder Clinical Team at the VA San Diego Healthcare System. In addition, she operates a private practice in San Diego, California where she specializes in treating mood, anxiety, and trauma related disorders in adolescents and adults. Disclosure: Lisa Campbell, Ph.D. has declared that no conflict of interest, Relevant Financial Relationship or Relevant Non-Financial Relationship exists. Dr. Gale has extensive experience in the assessment and treatment of adults, young adults, and children. She specializes in trauma-related research, substance use disorders, co-occurring disorders, bereavement, acculturation, and men’s issues. Dr. Gale obtained her Master’s and Doctorate in Clinical Psychology from the California School of Professional Psychology. After completing her doctoral degree, Dr. Gale completed a two-year postdoctoral fellowship at the University of California, San Diego. At UCSD, Dr. Gale was involved in clinical research, delivery of clinical care, program development, and program evaluation. Dr. Gale led a research lab specializing in trauma, personality disorders and co-occurring disorders. She has worked in hospital settings for nearly a decade treating and conducting research on children and adults who have experienced trauma. Disclosure: Maiken Gale, Ph.D. has declared that no conflict of interest, Relevant Financial Relationship or Relevant Non-Financial Relationship exists. Amanda Seavey, Ph.D. has her doctorate in clinical psychology and currently practices psychotherapy in Raleigh, NC. She has experience with therapeutic assessment and intervention using empirically supported treatments such as Dialectical Behavior Therapy, Motivational Interviewing and Behavioral Activation. Her training experience includes preparing and leading workshops for clinicians, residential technicians, and physicians, as well as building program and treatment adherence evaluations. Disclosure: Amanda Seavey, PhD has declared that no conflict of interest, Relevant Financial Relationship or Relevant Non-Financial Relationship exists. Steven R. Thorp, Ph.D., ABPP, is a Clinical Psychologist with expertise in assessment, psychotherapy, posttraumatic stress disorder, and the use of technologies to assess and treat behavioral health disorders. He is a clinician and university professor. His treatment specialty is Cognitive-Behavioral Therapy (CBT), including the third-wave CBTs such as Dialectical Behavioral Therapy. Dr. Thorp has treated clients with DBT for 25 years, and he has taught hundreds of clinicians and trainees how to conduct the treatment. He held leadership roles in VA hospital settings for 15 years and has taught undergraduate and graduate students at several universities. He was the Principal Investigator on several large grants for randomized controlled psychotherapy trials, and he has published more than 70 research papers. He has presented scientific papers at the ABCT and ISITDBT annual conferences. Many of his publications and scholarly presentations are about DBT, mindfulness, and related topics. Disclosure: Steven R. Thorp, Ph.D., ABPP has declared that no conflict of interest, Relevant Financial Relationship or Relevant Non-Financial Relationship exists. The target audience for this course is: entry and intermediate level Alcohol and Drug Counselors; entry and intermediate level Marriage and Family Therapists; entry and intermediate level Professional Counselors; entry and intermediate level Social Workers; Nurses; in the following settings: Health and Human Services.